In addition to the anti wrinkle formulations on this page, our Age Management Support products help complete our Age Management line by providing additional active ingredients and regimen options. 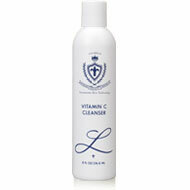 Our Vitamin C Cleanser is a silky smooth cleanser with the ability to remove makeup and other impurities with ease, while providing nutrients and anti-oxidants. Our Collagen Copper is a great way for younger skin, or early age management to ease their way into using anti aging products, but is also effective to improve mature skin and photo-aging. The Vitamin A Cream is a rich and luxurious moisturizer for night use, packed with numerous active ingredients to help energize and nourish mature skin. A gentle cleansing formula specifically for dry skin, the Creamy Facial Cleanser contains natural extracts such as orange blossom, chamomile, lavender, cucumber, and rose bud that help to heal and moisturize vitamin-depleted skin. Collagen is often found to be the most powerful product for reducing signs of aging as the active ingredients stimulate the skins natural collagen synthesis, occurring within the cells of the skin. 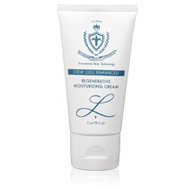 This process promotes cell re-growth, and increases elasticity, which leaves the skin more flexible and firm. Our Collagen is water soluble and plant derived. Vitamin A has been clinically proven to visibly reduce the appearance of fine lines and wrinkles, as well as increase the skin's firmness. Designed for skin conditioning and age management skin types, the Glycolic Cleanser deeply cleans the skin while exfoliating the skin, creating a softer and more even complexion. Apply a liberal amount on clean, dry face once or twice daily by massaging into the skin with fingertips. Recommend for mature skin types. 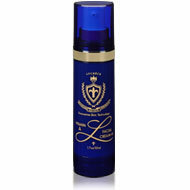 Copper Activing Complex – Stimulates collagen formation. Hydrocotyl and Coneflower Extracts – Firming agent. 1,3/1,6 - Glucan (Yeast Extract) – Tightening, anti-oxidant. Smooth a pearl sized drop onto the face once daily (morning or evening). Avoid the eye area while applying. Follow with Solar Protection if used during the day. For external use only. 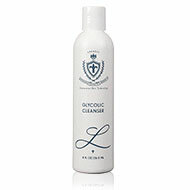 Gently massage cleanser onto the skin, and rinse thoroughly with lukewarm water. 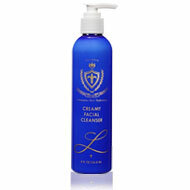 Do not let cleanser sit on skin for more than sixty seconds. Use for 1-2 applications per week. Not for daily use. Avoid the eye area.